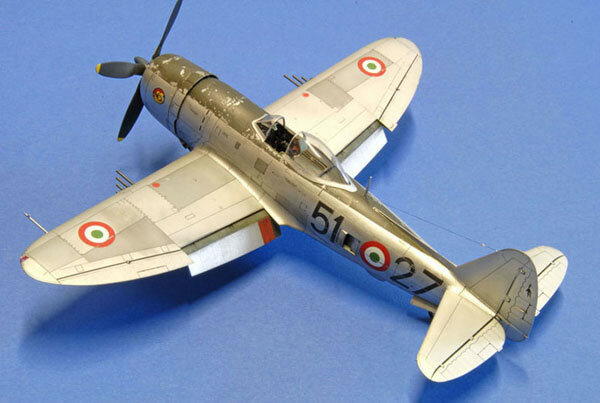 Here is my Tamiya 1/48 scale, with the insignia of 51 Squadron of the Italian Air Force, operating from Treviso airport in the early 1950s. The model itself is very precise to the extent that putty is almost superfluous. 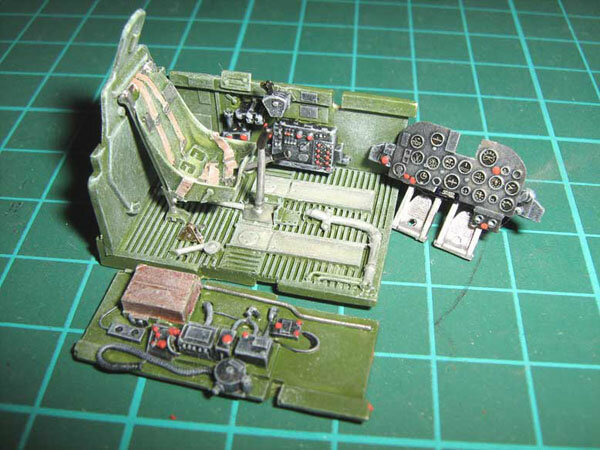 I only added Mig's resin cockpit. After the colorful cockpit, I added inside the fuselage, and installation was fairly quick and once applied the putty where needed, I sanded and painted the model I made: I started with a coat of Aluminium Metalizer Model-Master's, and just dry I polished all with Dremel, making sure to reach a very shiny finish. 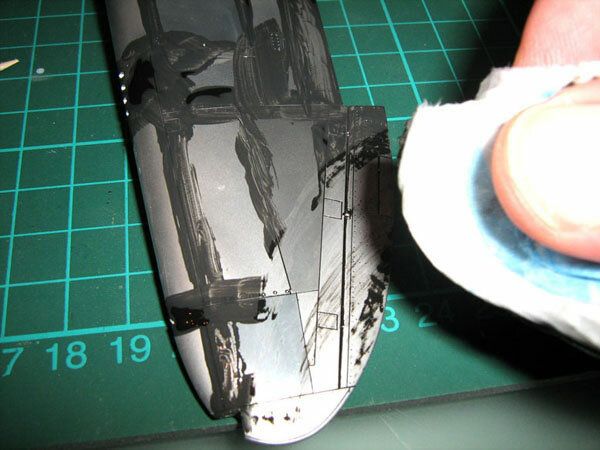 Using Tamiya tape, I masked several panels where I later applied Aluminium slightly darkened. After polished even those fuselage sections, I made a first wash with temper, and removed with a damp cloth. I applied in small parts on Maskol and I painted the glare in the upper part of the fuselage, and after waiting are completely dry, I gently removed maskol, and the result was to have a panel reflecting quite frayed. After masking the glare, I adjusted the Aluminium that borders it. The engine, from the box, was colorful, and detailed with its wires, and fixed to the fuselage. 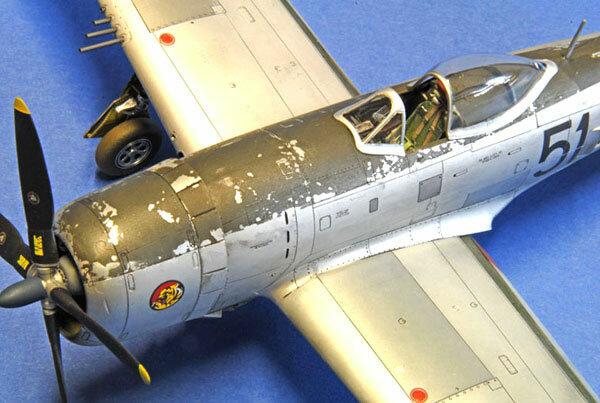 Having done that I then applied two coats of very light gloss varnish and I applied the decals, from the original kit and the sheet of Tauro, dedicated to the P-47, and helping with the softening of the Gunze Mr. Mark Softer. The next day, when all the decals were completely dry I started with the cutter, all lines of the various panels, to give the model a very experienced finishing. Eventually the overall result is very pleasing, at least to me!